Updates to Mary Inez's profile since your last visit are highlighted in yellow. Dan and I also have 7 grandchildren. 4 boys and 3 girls ranging in More…ages from 14 years old, to twins (a boy and a girl) who will be 8 years old in October. Being a Grandma is my idea of Heaven! Mary Inez Bellante Panicoe added a comment on Profile. Mary Inez Bellante Panicoe has left an In Memory comment for Suanne Morse Price. So sorry to hear about Susanne, she was such a sweetheart to everyone! May She Rest in Peace. Mary Inez Bellante Panicoe added a comment on Profile. New comment added. Mary Inez Bellante Panicoe has a birthday today. Mary Inez Bellante Panicoe updated profile. View. Mary Inez Bellante Panicoe posted a message. 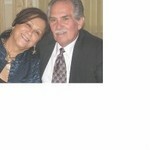 Mary Inez Bellante Panicoe changed "Now" picture. Mary Inez Bellante Panicoe has left an In Memory comment for Marie Cerone Maffucci.